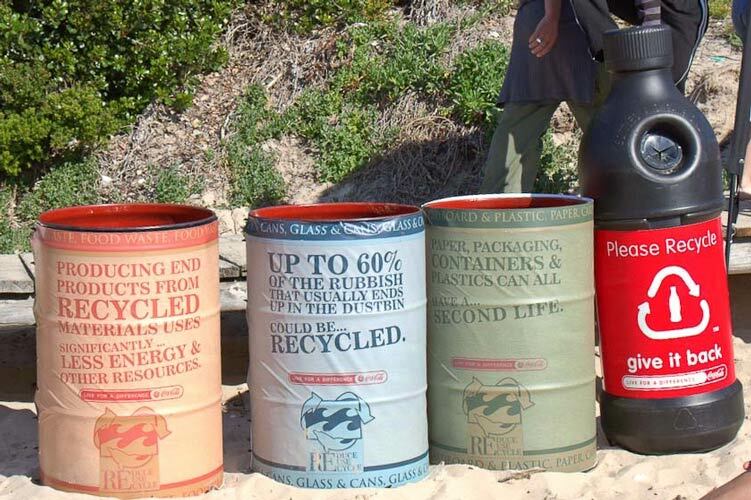 The iconic brand Billabong and its integral Billabong Pro event wanted to go “green”. The Jeffreys Bay event location in South Africa underwent a thorough analysis of the GHG Scope 1-3 assessment criteria by Cleaner Climate encompassing direct and indirect carbon emissions attributable to the event including everything from onsite fuel consumption and fuel used by company vehicles to the transportation associated with construction and dismantling of event infrastructure (stands, judging towers, ablution blocks, communications and dining facilities), waste to landfill and even the paper used for event collateral. 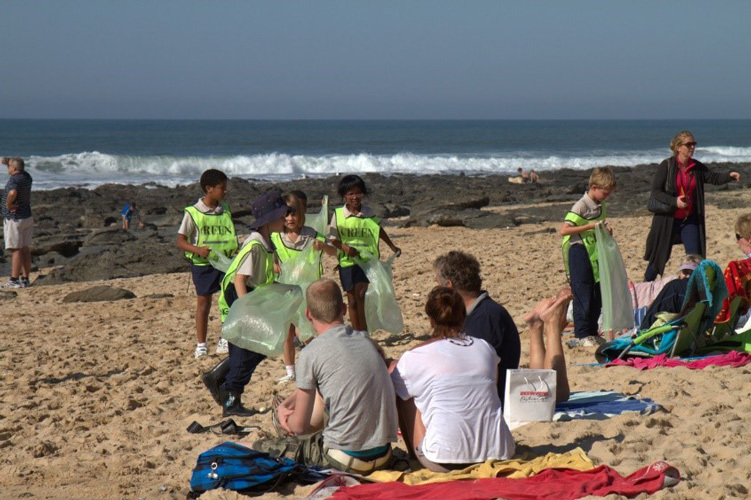 Cleaner Climate also advised Billabong on a number of greening initiatives to reduce the emissions arising from the event. Emissions were reduced through waste recycling, using biofuel where possible and switching to recycled paper for printing and collateral amongst others. 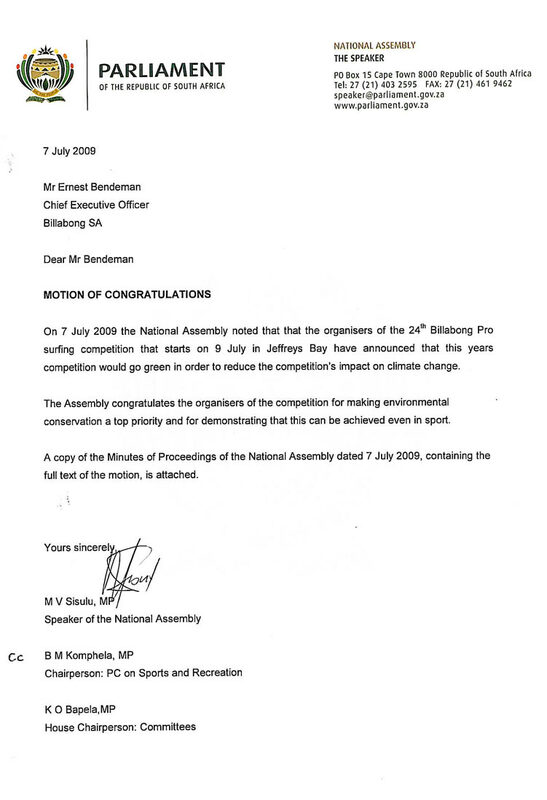 The project was so revolutionary for a surfing contest in South Africa that it made the South African parliamentary session minutes given by the house speaker.